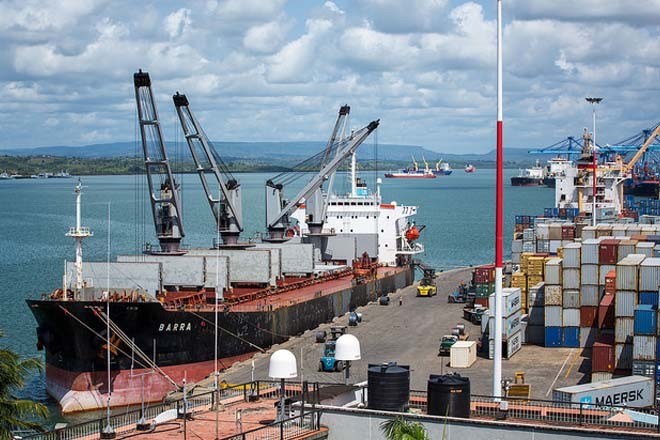 Feb 24, 2016 (LBO) – The Asian Development Bank (ADB) and Sri Lanka Ports Authority (SLPA) signed a transaction advisory services agreement Tuesday to develop the East Container Terminal (ECT) of Colombo Port through public–private partnership (PPP). The signing was witnessed by Takehiko Nakao, President of ADB, and Sri Lanka’s Finance Minister Ravi Karunanayake. “The terminal will maintain Colombo Port’s strategic position as a key trans-shipment hub for global and regional trade,” said Sri Widowati, ADB’s Country Director for Sri Lanka. The 500 million dollar project will include operationalization of the existing 400 meters of deep water berth and the full design, build, finance, operation, and maintenance of the remaining 800 meters of berth. The concession for the ECT is likely to be for 35 years. SLPA has already invested 80 million dollars in construction of the 400-meter berth at the terminal. ADB also provided a 300 million dollar loan in 2008 to support the construction of the breakwater of the Colombo Port. “ADB will advise SLPA in developing a bankable PPP structure and organizing a competitive tender process to select the private sector partner,” said Ryuichi Kaga, Head of ADB’s Office of Public-Private Partnership (OPPP).